/ What is the Difference Between a Turtle and a Terrapin Turtle? According to the taxonomic order of chelonian that comes from a Greek word, both turtle and terrapin turtle fall in the class of reptiles. They have all the characteristics of reptiles such as scales, breath oxygen, lay eggs and they are both cold-blooded. However, these replies have distinctions among themselves, which arise from different habitats in which they live. In countries like Australia, the terminology varies from sea turtle to tortoise, while in the United States, the name turtle refers to those that live in or near the waters. With that in mind, there are common differences between the two reptiles. Turtles are mostly or rather complete aquatic animals. They inhabit seas, oceans, lakes, and rivers. Turtles, on the other hand, do spend long time in water and only come on dry land when it is time to lay eggs. 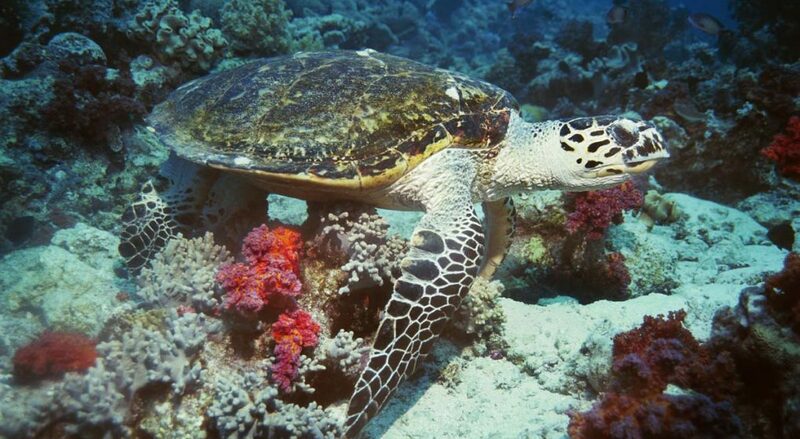 An example is the sea turtle. Other types of turtles live a double life. They tend to swim in freshwater ponds and lakes and spend time on dryland basking in the sun and digging in the mud as well. They have webbed feet, which enable them to swim fast and to stay strong. They have streamlined body while the sea turtle has long flippers. Different turtles have different diets. Some are vegetarians and some are omnivores; they eat sea-vegetation, small invertebrates, small insects and some eat jellyfish. Turtle shells consist of approximately 50-60 bones covered by interlocking plates known as Scutes, which builds the exoskeleton. The bottom half of the turtle shell is called plastron and the top is called carapace. As it seems, the shell is not only protective to the life of a turtle. It also has fixed nerves, which are receptive to feelings such as pressure of weight and pain. Turtles accumulate growth rings showing the spurts relative to the scarcity of the food. This is contrary to the belief that you can tell the age of a turtle by the number of rings on the shell. Turtles can live for up to 150 years. On the other hand, Terrapins are turtles that adapt to semi-aquatic life. They stay mainly in salty waters and near brackish or rather swampy placeless. Their genus is like a mix between turtle and tortoise, because of the time spent both in water and in dryland. Terrapins are small with hard shells shaped like those of turtles. Their bodies bear streamlines and rounded dome shapes like those of tortoise. 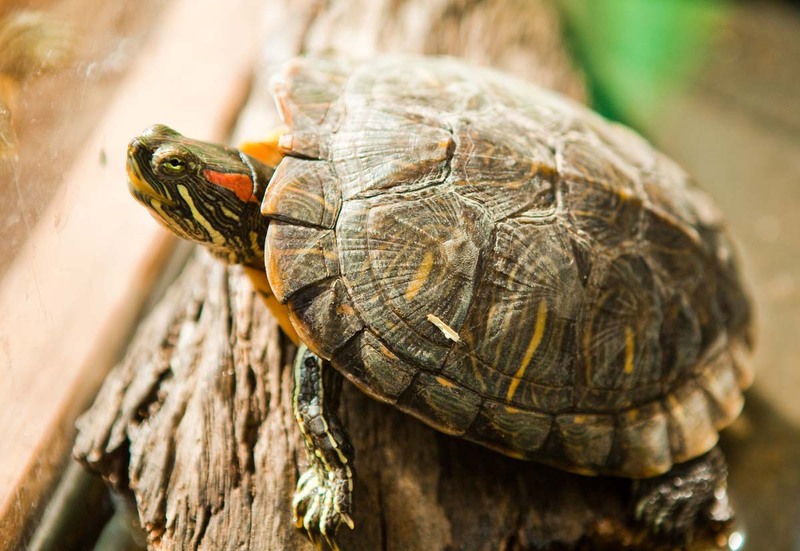 The word terrapin originates from an Algonquian Indian word, which means little turtle. Terrapin turtles have a lifespan of around 30-40 years unlike that of sea turtle. In ponds, large water tanks and aquariums, it should have adequate heating and lighting, the water temperature should be between 30 and 35 degrees. Their sizes range between 22 and 25 centimeters. Most of the sea turtles are cold-blooded or rather ectothermic, which means they cannot regulate their body temperatures. This depends on the surroundings and this feature favors the turtle because it enables them to lower their metabolic rate. Hence, they require less oxygen and stay underwater for a long time. Sea turtle can travel a long distance in water and the male turtle is able to navigate its way back to their natal beaches. At times turtles do get stranded or even die when they experience cold water or tropical temperatures. Terrapin turtles fall into three different categories: red-eared, yellow-bellied, and Cumberland sliders. They live across the southern states of North America. Some of the terrapins are only active during the day or when provided with light. They live on different foods such as rodents, plants, insects, eggs, and birds. Female terrapins tend to grow larger than males, while their babies grow very rapidly to that size of dinner plate. This animal needs a lot of care since it is somehow delicate on the habitat. Terrapins are the most dimorphic, for instance the North America turtles. They usually mate in winter season whereby a female lays approximately 22 eggs, which hatch at the end of winter. The males reach sexual maturity at the age of 2 to 5 years while the female stays up to 6 years. When approached, they flee away because they are timid creatures. They have no gills so they breathe in air for oxygen requirement. Statistically, terrapins are endangered creatures since their number has been waning low. This could be due to habitat destructions, death on roads, and drowning in crab traps. In some places, people consider them a delicacy. All the same, reliable organizations have come out across the world to support these little beautiful creatures. Tortoises are practically entirely land-dwelling animals. They got stubby feet and they do not swim well as turtles and terrapins. They only visit water bodies to drink water or wash themselves, though they easily die in deep waters or in strong currents. Their bodies are not streamlined and are used to terrestrial life. They show off high domed shells and column-shaped feet with sharp claws, which help in digging in the ground. The greatest distinction is that tortoises in many areas are herbivorous and commonly eat low-lying shrubs, weeds, fruits and many forms of vegetables. Unlike the turtle, the tortoise uses it shell for protection against hot weather, from predators, and other endangering conditions like the desert. Female tortoises use their front legs with sharp claws to dig their nest for laying eggs. Both Turtle and Terrapin do not use teeth to crush their food since they have no teeth, they have very strong and powerful jaws with ridges adapted to crushing their food and their mouths are shaped like that of a birds beak. Turtles and terrapins are human-friendly since some of them are kept as pets in houses and even commercial places in aquariums. Both Terrapins and turtles crawl very slowly when on dryland while in water they swim very fast. They both use their shell to hide and when relaxing to avoid disturbances.